The Supreme Court ruled today that the homes of 21 Bedouin from the Jahalin tribe, who live in the area between Ma'aleh Adumim and Abu Dis, must not be demolished for thirty days, even though they issued demolition orders against the structures, in order to formulate "a consensual solution that will allow the regulation of the residences and the living arrangements [of the residents]." The Bedouin had requested in their petition to the Supreme Court that the demolition orders be frozen until a suitable solution for the planning and development of the area is found, and a master plan to allow legal construction in the area is completed. Justices Esther Hayot, Uzi Fogelman and Daphne Barak determined that "Given the characteristics of the petitioners, it is worth examining the possibility of a negotiated solution that would allow the regulation of the residences and the and the living arrangements of the petitioners according to the law." The Justices accepted the petition, allowing the residents to submit a request to the Control Unit to determine if the area can be regulated and to freeze the demolition orders until after an arrangement is reached. The ruling was criticized by supporters of the town of Amona, whose residents were forcibly evicted on the orders of the Supreme Court last week. The Supreme Court also tore up the arrangement which would have provided alternative housing for the evicted residents on the day of the eviction, leaving them without alternative housing. Attorney Itamar Ben Gvir, a representative of the Honenu legal aid organization, said: "Indeed, the gates of the Supreme Court are open to members of the [Bedouin] tribe, but they were not open enough for the residents of Amona [to receive a similar consideration], as well as for the residents of the outposts in Judea and Samaria. There is a serious problem with [there being] one law for Jews, and another for Bedouin. This was a problematic decision today, in addition to the dozens of similar decisions [in the past]. This policy is discriminatory and problematic." He warned that "The Justice Minister must work to appoint many [new] Justices so the court reflects the opinions prevalent in Israel. 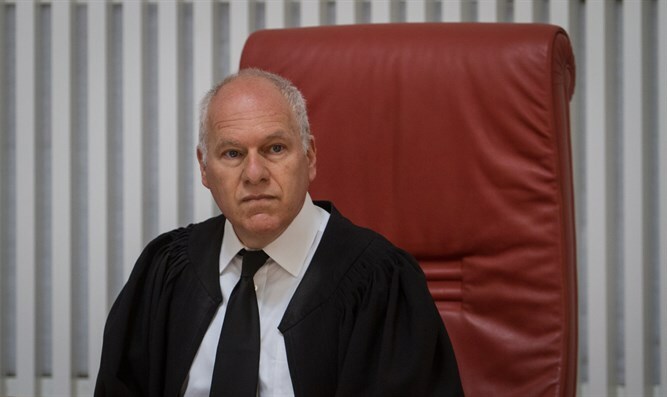 Otherwise the lack of trust in the court in the State of Israel will only grow."